The Premier League golden boot is an accolade wanted by many but only won by few. To be top scorer over a 38-game Premier League season is some achievement and is only achieved by the best. To put your name up there with the likes of Cristiano Ronaldo, Thierry Henry and Alan Shearer you must be dedicated, remain injury free and most of all clinical. It is no stroke of luck that you end up as top scorer in the world’s most competitive league, and after another hat-trick from Sergio Aguero, the 18/19 race for the golden boot has just got interesting. Aguero is no stranger to the award as he won it back in 14/15 with an impressive 26 goal campaign. This, however, is his only one to date, which comes as a surprise considering he has just become Manchester City’s all-time top league scorer, another record to add to the feats he has achieved at City. Sergio was some way off the pace coming into the last 2 weeks being 5 goals behind leading scorer Mohamed Salah. Stunning hat-tricks against top 6 rivals Arsenal and Chelsea over this period have put him level with the Egyptian on 17 goals. Aguero’s performance today showed why he is the real contender to win this award. He has every type of goal in his locker. 30-yard screamers – no problem, volleys – no problem, slotting away a penalty – still no problem at all. Back post open nets did prove an issue today but usually this man can score from anywhere. His performance today made our team of the week, which you can check out here. With such competition for places in this Man City squad, Aguero has to continue scoring or Pep will be able to bring someone in who will. Peps rotation policy has no doubt brought the best out of the Argentine and it doesn’t look like he is going to stop anytime soon. His goals couldn’t have come at a better time for City as they force pressure on Liverpool and make top spot theirs for good. City’s next Premier League game doesn’t come until the 27th February when they host West Ham. Aguero will be looking to push on and claim his second golden boot now fixtures are looking slightly easier. After his 2 hat-tricks, he has pushed on to favourite to win the award and can be found at 6/4 with Coral to do so. The Egyptian has proved many doubters wrong with a second successful campaign at Anfield. The goalscoring feat he achieved last season saw him win the golden boot with an astonishing 32 goals, the highest ever in a 38 game season. Many questioned whether he could do it again as surely the league would wise up to his favoured left foot. Salah has shown otherwise, continuing to score and brought his tally to 17 for the season with a sweeping finish against Bournemouth. Anfield appears to be the strong point for Salah, having scored 10 of his 17 in front of the Liverpool faithful. Liverpool have had a couple of uncharacteristic draws in which their attacking flow seemed bit disjointed. this too saw Salah fail to hit the back of the net. Saturday’s game will have helped revive his confidence and in truth could have scored more. Liverpool travel to Old Trafford next where the inform Manchester United will be looking to halt Liverpool’s title hopes, whilst doing the same to Salah’s golden boot dreams. If he manages to win the award again he will join a list of 5 men before him that have managed to win the award twice. 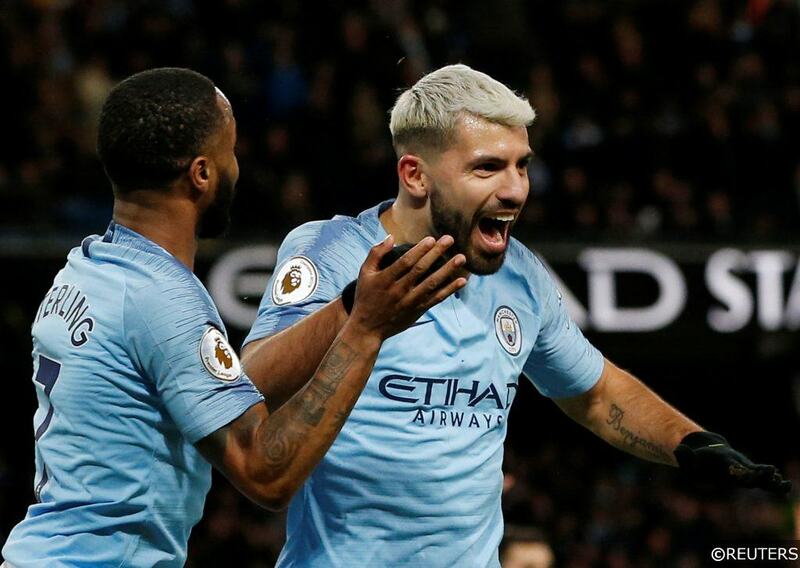 After Aguero’s recent flurry of goals, he has now dropped to the second favourite to win the race and can be found at 11/8 with William Hill. PEA has shown brilliant levels of goalscoring since he joined Arsenal last January at what seemed to be a steal in today’s market. The Gabon national has notched 15 goals in 23 appearances this campaign, only two adrift of the front-runners. His goal scoring ability has never been doubted and as long as he stays fit he will continue scoring this season. Arsenal certainly need him to as they look to press for a top 4 finish. Up top with Lacazette, they provide a threat most teams struggle to deal with. The roadblock for PAE though is Arsenals away form to the big 6. If you look at Sergio Aguero for example, his goalscoring record against the big 6, shown today is something which Arsenal find tricky. His record is very impressive and you can read more about it here. Losing 3-1 to Manchester City and 5-1 to Liverpool are games in which Arsenal don’t provide much threat. If the service isn’t provided then Aubameyang will find it difficult to score. However, he has scored 15 goals so far this term and if he continues this way his 5/1 with bet365 provide good value for the golden boot. Unfortunately for Mr Kane his chances of securing the golden boot this season look over after an injury has kept him sidelined for 2 months. Before this setback, Kane did bag 14 in the 21 matches he played, form that looked good for another golden boot to add to his collection. This total does only leave him 3 behind the leaders so I would never count him out. Spurs are looking in good form too. With 4 league wins on the bounce they have made 3rd spot their own and look to make a late title challenge, although a challenge is most likely all they will manage. 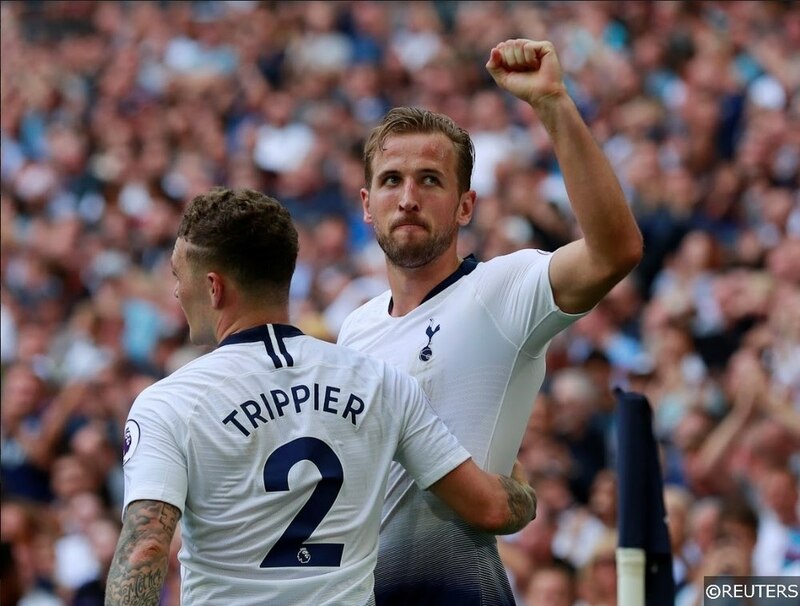 With an inform team around him, Kane will more than likely continue to score on his return to the team so the odds of him at 13/1 with Paddy Power show value for this serial goal scorer. Let us know in the comments who you think will win the race for the golden boot. Categories: Blog and Football. Tags: Arsenal, Golden Boot, Harry Kane, Liverpool, Manchester City, Mohamed Salah, Pierre-Emerick Aubameyang, Sergio Aguero, Title race, and Tottenham. Team Tag: arsenal, Liverpool, manchester city, and Tottenham Hotpsur. League: England Premier League. Sports: Football.